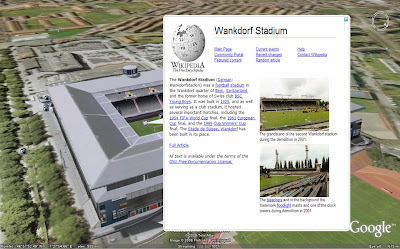 Euro 2008 - 3D stadiums added to Google Earth! 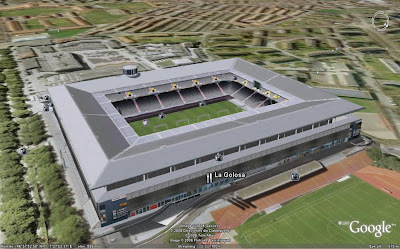 3D stadiums for Euro 2008 have been included in Google Earth. Designed and implemented through Google SketchUp, all these models can be found in the Google 3D Warehouse (http://sketchup.google.com/3dwarehouse). 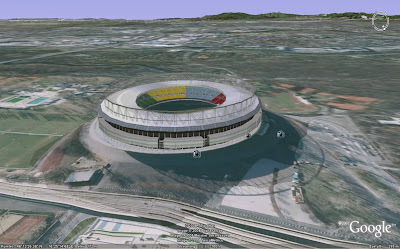 The 3D Euro 2008 stadiums are further examples of how Google Earth is developing to become significantly more than just another online map. 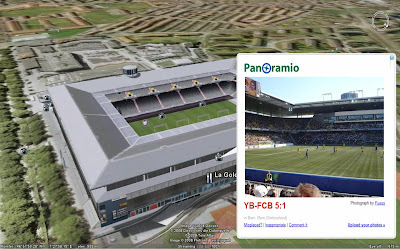 Google Earth is gaining 3D buildings, adding links to reviews, buttons to incorporate Wikipedia definitions, UGC photos through Panoramio and links to YouTube. Google Earth is slowly turning into a virtual world and becoming a sort of reverse engineered Second Life. Whilst it was difficult to envisage a purpose for Google Earth when it first launched, it now seems to become more useful by the day!